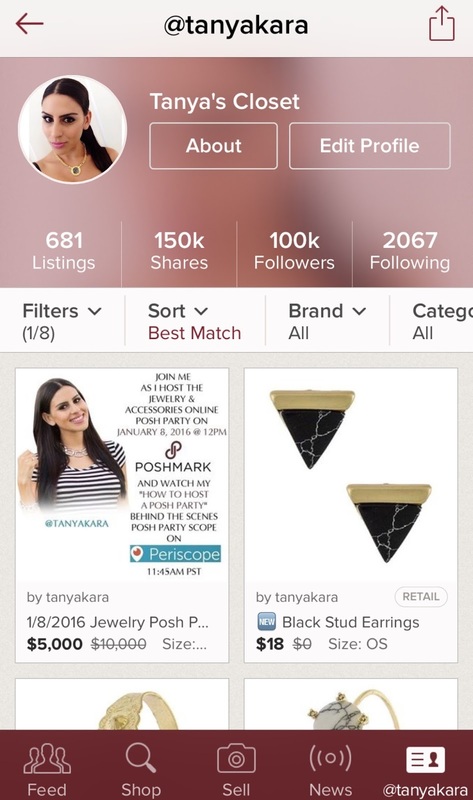 Tanya Kara: How I Hit 100,000 Poshmark Followers In 11 Months! I'm thrilled to share with you that I hit the 100,000 followers mark on Poshmark! Just last year when I first joined the app, I wrote a What Is Poshmark article and at the time I only had 500 followers! Less than 1 year later, I accumulated 100k followers! I feel so honored that that many people follow me on a social media platform. I am so blown away! A lot of people helped me and taught me along the way, so as a way of continuing to spread the wealth of knowledge, I am going to share with you how I accumulated 100k followers on Poshmark! Here are my top 7 tips on how to get followers and how I hit 100k followers in 11 months. 1. Network with other Poshers. Although Poshmark is technically an app where you can buy and sell fashion and beauty related items, it is also a social media platform. So many friendships are made through the app turning PFFS (Poshmark Friends Forever) into BFFS! Explore the Poshmark app by checking out suggested users, party hosts, and people on your feed, and when you find someone that has a similar style or interests as you, leave a comment on one of their listings and introduce yourself! I have to say, when you create friends on the app, they will help answer all your questions, share your items (increasing your exposure), and help spread the word about your closet, in turn, attracting more followers. 2. SHARE SHARE SHARE!!!!! This is the biggest piece of advice I can give ANYONE that is looking to sell on Poshmark and increase their followers!! I share all day...when I wake up, during the day...any free moment I have I am sharing! Why? Because when you share other people's items, they will share yours back! So imagine this. In February 2015 I had about 500 followers. I would find a closet that has 100,000 followers. I would share 6 of her items, so in return she would share 6 of my items back. Now my items got shared to 100,000 people that probably didn't know about me, increasing my exposure and ultimately driving traffic to my page! Now my followers go up. 3. Attend Poshmark Parties and Meet-Ups. When I joined Poshmark I knew NO ONE on the app. Just by random I saw a listing that @bellanblue had created announcing a meet-up in Los Angeles! I knew I wanted to grow my following and network on Poshmark, so I went...alone. Yes I was scared, but once I got there, everyone was so nice and welcoming. Ladies, seriously, Poshmark is SUCH an incredible community and everyone is so helpful and nice. It's all about WIN-WIN. If you have meet-ups or parties in your area I suggest you go. It helped build my network. I met people that then became my PFFs like @bellanblue and @princessamyj and it helped me grow so much quicker because I was able to ask experienced Poshers questions I had and allowed them to put a face to the closet, in-turn, solidifying my relationships with other Poshers. The awesome thing about this app is that it literally combines business with fun! Click here to find a local Poshmark meet-up near you! 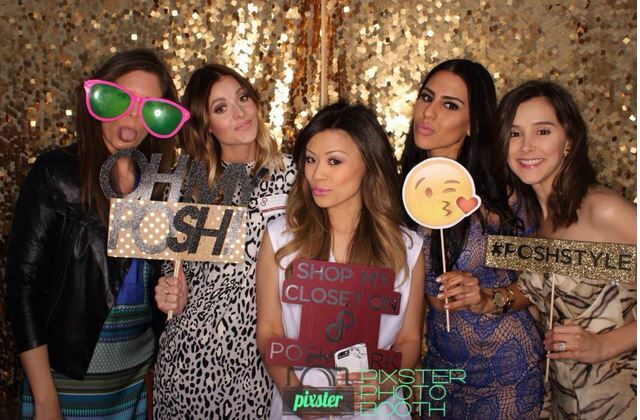 So far I have attended the Los Angeles Poshmark Meet-Up, San Diego Poshmark Party (which was a BLAST! ), and I even co-hosted the Los Angeles Poshmark Meet-Up in August which brings me to #4! 4. Host A Local Meet-Up! Going to the LA and SD Poshmark Meet-Up and Party really helped me get out there and network. I knew in my heart that the Poshmark app was (and is) something special, an opportunity that I had to create for Tanya Kara Jewelry! So thanks to the two events I attended, I became not just PFFs but real-life true friends with Jen (@bellanblue) and Amy (@princessamyj). This led to us hosting a party together in LA. And this ladies, really helped take my closet to the next level. I got tons of followers, and credibility from the community. Click here to read an article where Jen, Amy and I were interviewed by Poshmark on How To Throw The Ultimate Meet Up. 5. Become a Suggested User. Becoming a suggested user was a HUGE blessing for my closet. A lot of my followers are thanks to my suggested user status! When you are a suggested user, Poshmark will promote your closet from time to time suggesting you to everyone on the app! Click here to find out how you can become a suggested user. 6. Create a Brand For Yourself and Have Fun With It!!! I have to say, the key to growing a large following on Poshmark is creating your own brand. What do you stand for? What makes your closet or store different than anyone else?! Once you create your own brand, people will be intrigued by what you are doing and want to follow you! Deliver quality, honesty, great customer service and people will love to follow and support you! Thanks to my own branding, I was asked to speak at PoshFest 2015 in San Fransico, Poshmark's largest event of the year. I spoke about how Building An Empire Starts With Your Brand. I have to say GOING to PoshFest and especially speaking at PoshFest really helped establish my closet and increase my following. 7. Host An Online Posh Party! If you want to grow your following, becoming a Party Host is a HUGE way to gain exposure, not to mention, it is SO MUCH FUN! Poshmark has 3 daily parties, one at 9am, one at 12pm and one at 7pm. The 12pm and 7pm parties have specially selected hosts that are Poshmark users that choose amazing items from others' closets creating a super fun selection of items from everyone in the app to shop from! Imagine...the entire Poshmark app seeing your name as a party host! Definitely helps build followers! 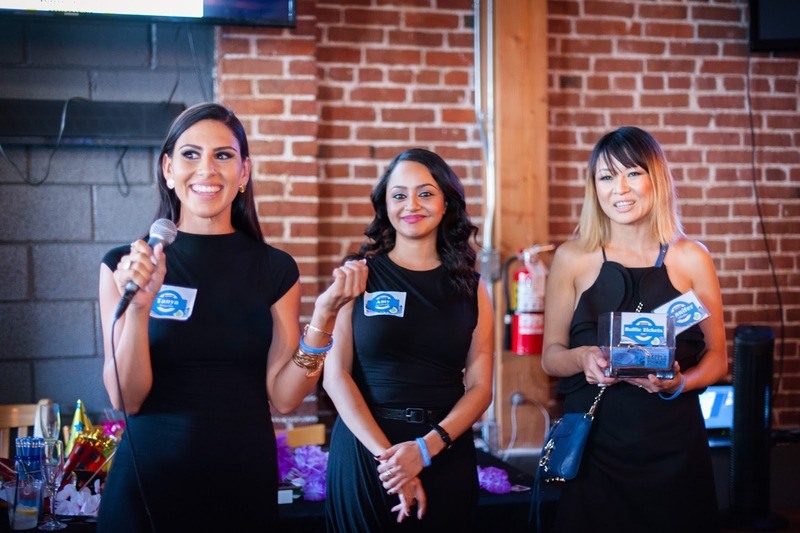 Click here to find out how to become a party host. Join me THIS FRIDAY as I host the 12pm Best in Jewelry & Accessories Party PLUS as a bonus, I will be on Periscope hosting my first scope "How I Host Posh Parties". It will be a fun way to see what it is like to host a party, or even to see what the app is all about! Click here to visit my Poshmark Closet and be sure to follow me! Comment on any of my listings if you have questions, I'd love to hear what you think! P.S. Follow me on Instagram & Twitter too! Your website is really cool and navigate jubelirerstrategies this is a great inspiring article. Thank you so much. Great Post! Love your closet too! Wow those posh parties look like so much fun. Can you follow me at precisediamond on poshmark? And now you have almost a half million. Hi Tanya, Thank you for all the tips in your catalog. I am interested in a local meetup and how to be a suggested user but when I clicked on the links in your article I got “page you are looking for doesn’t exist.” Do you have any other resources? Thank you! 150,000 shares in 11 months. Each share a minimum of 2 clicks. That means you would have had to do 900 clicks a day, everyday, for 11 months straight to reach that. You got that many followers from AUTOMATION.